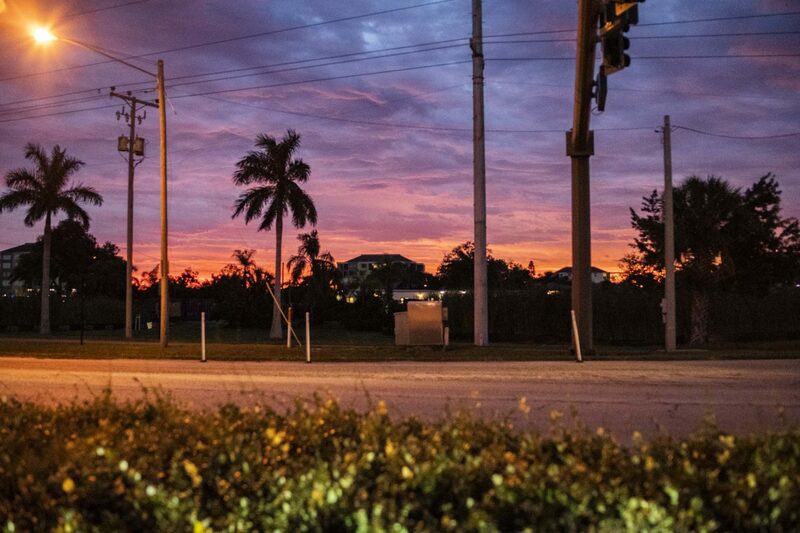 January is an interesting month for winds in the Tampa Bay area. To better understand how or why we get winds, the basic rule is that when there are changes in temperature, there is wind. This is why when cold fronts come through, before and after there is wind. January is our one month of winter. Winter for us means the average temperate is 70 degrees with an average low of 57 degrees, not very cold in perspective to the rest of the country. 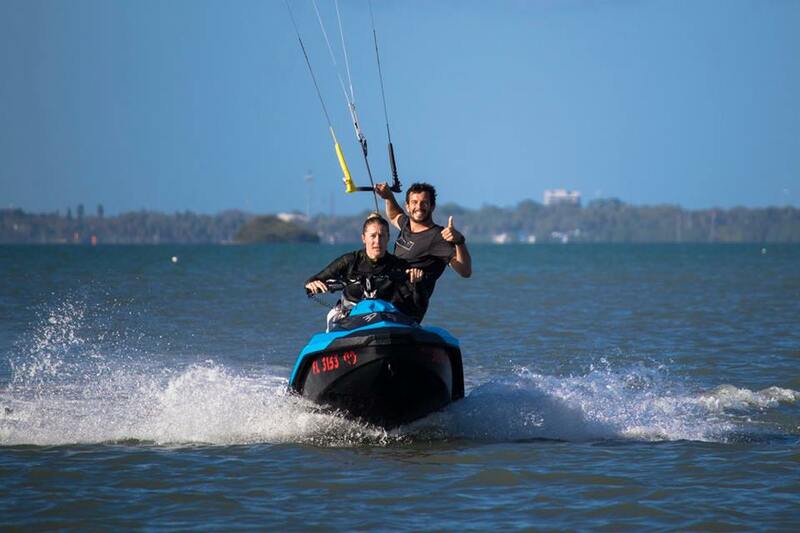 From our personal experience kiteboarding in the area for a decade, we’ve found there are a fewer number of windy days before and after the front. Sometimes you’ll get two days before the front and three days after. In January it’s like one day before and two days after. On the bright side, there are plenty of cold fronts that come through in January! Good time to learn kiteboarding? 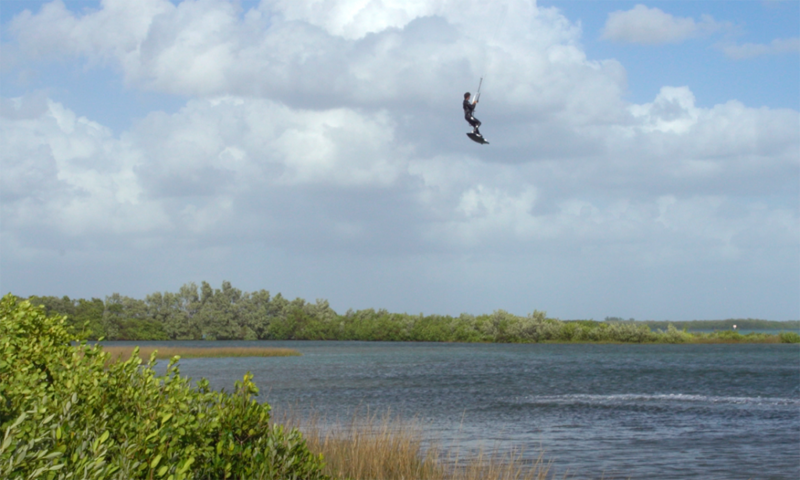 January is a great time to learn kiteboarding. There’s still plenty of windy days in January and although the wind may be a bit cooler, you’ll be ready to go by spring. 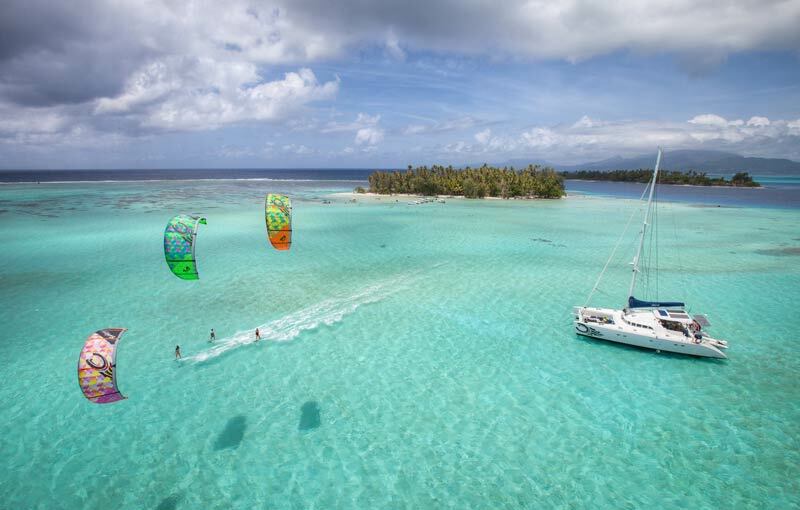 Spring is our favorite time of year for kiteboarding. Wind is consistent and warm! Learn now so you can be on your own by spring! As you can see from the picture of the Wind Statistics, the three most common wind directions are NNW, NNE winds and S winds. Having more north in the winds show that the temperatures are cooler. Having south in the winds show warmer temperatures. 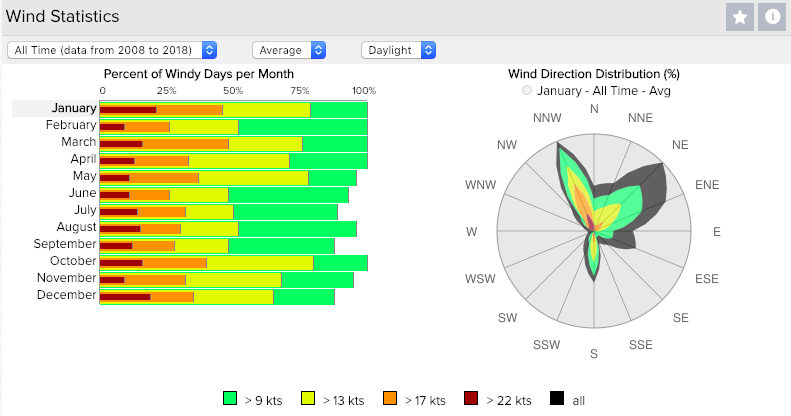 If you want to kiteboard in January, you should be able to get out 70% of the days. NNE winds are not ideal but NW winds and S winds are consistent and reliable. Keep an eye out for cold fronts; when a cold front comes through, there will be wind.